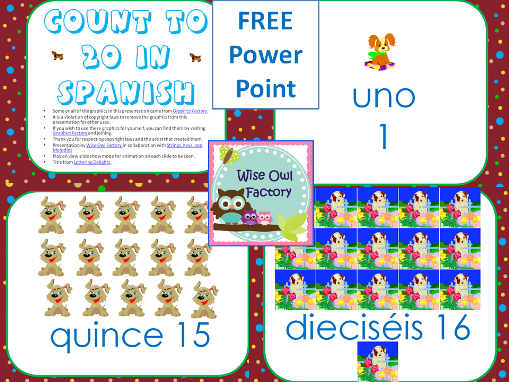 This post has a free count to 20 in Spanish free Power Point. This is another collaboration with Strings, Keys and Melodies! Today I have a free Power Point counting to 20 with puppies and animation, just keep pressing the space-bar for all slides to automatically show animated puppies. 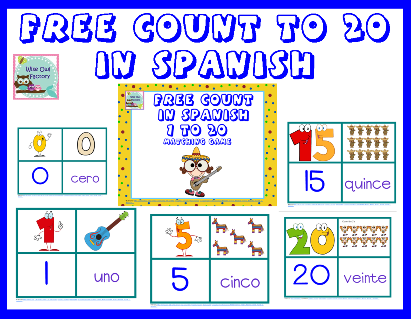 Below, find my free printable for counting in Spanish from 1 to 10. See the YouTube video of Diez Perritos from Strings, Keys, and Melodies by Tonya Dirksen. Read Tonya’s blog post at Strings, Keys, and Melodies.